Cars should be anything but boring, especially as they are the means of transportation for millions of adults every day. Some people are forced to drive for a living, so they need to make the most of the time they spend in a car. If you’d like to spice up the interior design of your ride or you’d like to listen to your favorite tunes while you are driving, perhaps you might benefit from browsing through the models we’ve showcased below. 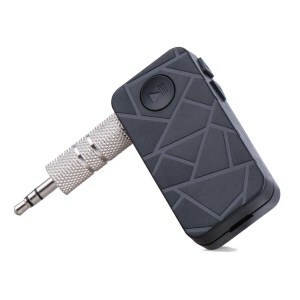 This car kit is ideal for music lovers who want to take advantage of their car’s audio system. You can use it to its full potential by answering calls, streaming music or you can even utilize Google Now. The device connects to any type of smartphone via Bluetooth, no matter what brand we’re talking about. It works perfectly with streaming apps like Spotify, and all you have to do is connect and press play to start enjoying your audio files. 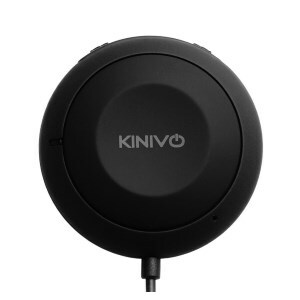 Kinivo’s product can even be used to listen to audiobooks on those long commute hours. All you need to do to get things started is a 3.5mm input cable to connect to your stereo, and that’s it! When it comes to car emergencies, this toolbox can be your savior. 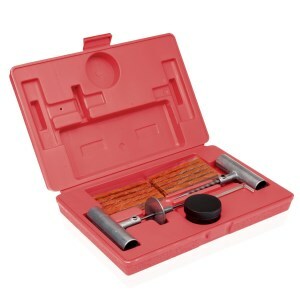 Say goodbye to flat tires with this easy to use kit that can help you repair punctures for tubeless tires on all vehicles, without needing to remove them from the rim. To fix your tires, all you have to do is utilize the tools that the kit comes with and follow those simple four steps for a permanent fix. The package includes everything you need: the two metal t-handle tools, the high-quality strings you have to insert, and the patch. It doesn’t get easier than this for a professional fix that is cheap and fast. 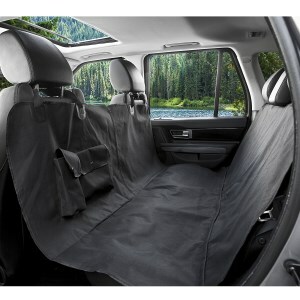 The simplest way to keep your car seats clean from pet hair, no matter if we talk about cat or dog hair, is this original seat cover. The black model is designed for the backseats of most cars, and it’s easily convertible from a hammock to a standard bench coverage in order to adapt to your preferences. It’s made of high quality heavy-duty waterproof polyester for durability and to make sure you’re covered in case of unforeseen events. The design includes built-in Velcro openings for your seat belts to prevent the product from sliding around and failing to do its job. And it is also very easy to install. Just follow the instructions. Safety is not a light issue or a suggestion. Car safety is imperative when you hit the road. And now, with this product, we have the cure for blind spots. This pack of mirrors can make the difference when driving. The pack itself contains two identical mirrors that can be attached to any kind of car. What’s even better is that the mirrors are adjustable up to 360 degrees so you can adjust them to fit your needs. Maximum flexibility is guaranteed. 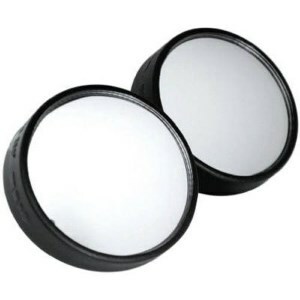 Visibility will increase with these high-quality mirrors that come in a compact and attractive frame that will fit the curves of your car. The neatest way to take advantage of the space you have on your dashboard is this innovative product. With the help of this item, you can make sure that anything you put on there, stays there, due to its sticky surface. This non-adhesive product is made from durable, soft materials that help you stay organized and keep your things in the line of sight. You can stick your phone, keys, sunglasses or iPod on the surface of the product and never have them fall off, even when you hit the breaks. With Heininger’s CommuteMate DashGrip, you can say goodbye to the distraction of falling objects and hello to safe belongings. You never know when an accident is going to happen. That’s why this product was created, to provide you with an alternative even in dark times or emergencies. This could be great for an experimented user or a beginner. 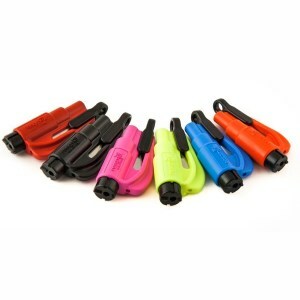 It contains both the seat belt cutter and the car window breaker covering the most complicated parts of a rescue. And a great thing about this product, is how light it is and just how much power it packs in a small body. It’s so tiny you might forget about it and remember when it actually matters. It’s lifesaving, and that is no joke. And it’s from a trusted brand too, meaning you can purchase it without a worry. This navigator comes with spoken directions, so you don’t have to lose your focus, keeping your eyes on the road while driving. Not only does it have a ton of maps, but it also comes with a long list of popular restaurants, shops, and other places like that in its database. And what’s even better is that you have free lifetime updates so you won’t get lost even if the roads are changed. The device features the Garmin Real Directions system, which means your guide will sound natural and intelligent, giving you the feeling that a friend is guiding you, not a robot. And it keeps things simple by finding you the best way to your destination, so you get there in time. Wintertime and car time don’t really match because of the cold, snow, moisture, and everything else. All of these worries will be a memory of the past with this cool product. The item comes in a universal fit for most standard car seats. It is very easy to attach by just connecting the belts and the hook & loop fastener. It is fast too. It only takes about 5 minutes to warm up and get its money worth. The heat distribution is even and can warm up your entire body in no time. And lastly, it is made of quality polyester in order to give you the best experience this product is capable of offering. The Enegg device is the answer to your musical prayers. You won’t have to listen to the radio anymore as you will able to convert an old music player to your personal music station via Bluetooth. 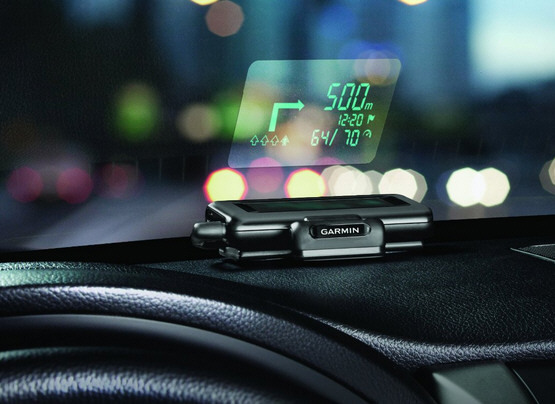 This receiver is a simple hands-free solution for answering and receiving phone calls while driving. 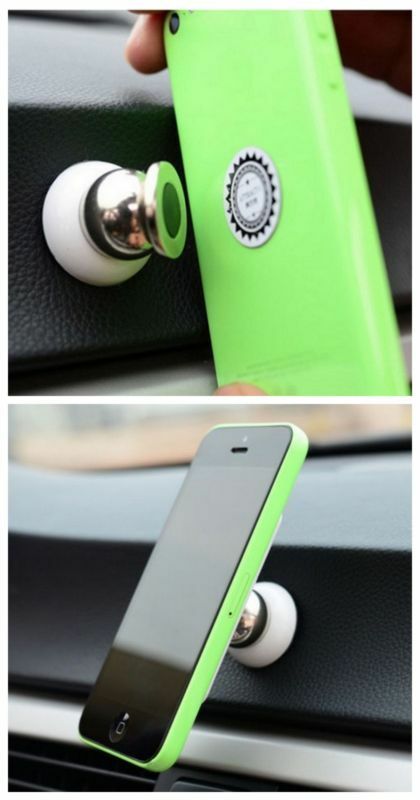 And just by installing the product, which comes with a user-friendly design, you can connect your phone to the car’s sound system and play any audio you like. The sound output is clear and without glitches so you can enjoy your favorites tunes without getting annoyed. It also comes with a built-in rechargeable lithium battery for durability. Repairing a flat tire is annoying, but, unfortunately, sometimes it is necessary. So you need to be prepared. With this product, you will have all grounds covered. 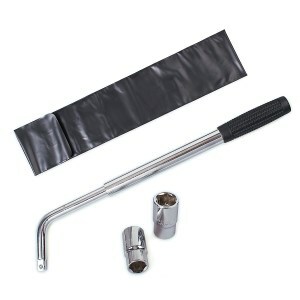 The wrench comes with a telescoping handle that can extend up to 21 inches for maximum leverage, meaning it can work well with most cars and type of tires. And it also becomes as compact as 14 inches for easy storage, so it takes up no space in your trunk. The quality of this product is more than average. It is constructed from hardened steel with a lot of precision which gives it a premium feeling and a long life. And as a bonus, you have the carry bag included for convenient storage. Almost every technological innovation leaves us breathless at the moment of its launching because it is a clear proof of the way in which technology evolves every year. Moreover, in just a few years, that new item might become a must for everyone. Mobile phones have evolved from luxury goods into indispensable products. Similarly, electric windows were once considered the height of luxury for cars for sale. However, it looks like we have become increasingly capable of accessorizing better. Whether you have recently bought a new or a second-hand vehicle, you need the best gadgets for cars to make this new acquisition worth its price. Most accessories offer great advantages in terms of functionality, flexibility, and convenience. But how do you know which are those cool gadgets for your car that are worth purchasing and for what price? If you have issues finding the right answer to this question, you have reached the perfect place. Today, we will offer you all the assistance you need through this comprehensive buying guide that reveals the main features you should consider in those cool gadgets for the car that you have set your mind on lately. You will discover the most important factors that you must keep in mind when trying to make a wise choice. With the help of this buying guide, you can now establish the range of characteristics that you consider important and choose a product that matches your preferences and requirements. The following sections can help you make a wise decision. Nowadays, you have to be in touch with technology at any moment, even when you are driving. That is why considering the best items and accessories that you should have in your car is an essential step to consider. From a smart navigation system to a high-quality sound deadener or the most practical trunk organizer, every item you choose for your car is important. Even if cars that have been released lately are already equipped with lots of options to make your life easier while being behind the wheel, there will always be room for the better. The fact that they are very easy to connect to your devices through Bluetooth technology gives you the reassurance that you will never feel bored when you are stuck in traffic. Not to mention the fact that you can also take advantage of an anti-sleep alarm for drivers these days and make sure you are safe every moment you spend in your car. If you spend a lot of time in your car, your driving experience should be as pleasant as possible and the latest car items are made to make this possible for you. If you are not in the possession of a car equipped with a navigation system that can provide a generous display, you can now even integrate a tablet into your car and gain access to all those practical options you want. From a professional action camera with proper mounts to a USB car humidifier and other tech products, you can now change the whole mood in your car by choosing cool items that do their job perfectly. When you are a driver who spends a lot of time in his car, you want to make everything about the driving experience feel cozy and comfortable. For this intended purpose, you can rely on all sorts of small yet highly practical items that cover all your needs and requirements. 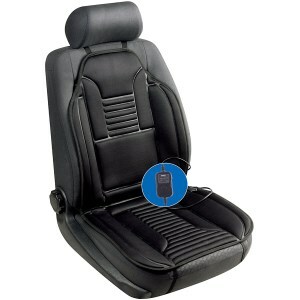 For example, in order to get the best experience while using your tablet in the car, you need a special support for it. 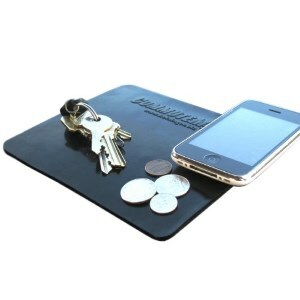 The accessory you choose should be compatible with most tablets on the market so that everyone who rides with you in your car might be able to take advantage of it. Moreover, sometimes we prefer having a smartphone or any other device on the board and in such situations, you might need to have access to extra accessories. Additionally, the latest car items come with several interesting features. Some can even connect to mobile devices via Bluetooth and allow you to answer calls without using your phone. When you cannot answer, you can set the caller to automatically receive a text message. It is all about choosing practical items that can make your life easier while being on the road, behind the wheel. In case you are old-fashioned and want the directions of the route you are traveling on to be provided by a GPS, you can find perfect devices for this purpose. 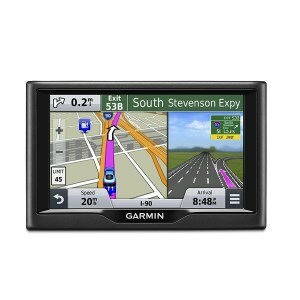 The latest navigation systems give you free lifetime map updates. With a clear and bright display, a GPS tool provides proper voice directions, speed indications or ultimate driving assistance. Moreover, if you are a great music fan, you can choose to use a multimedia unit in your car. With modern touchscreen displays, you can now enjoy your favorite music collection, videos or pictures in a very professional way. Whether you have your favorite songs stored on a CD, DVD, USB device or iPhone and Android smartphones, a multimedia drive offers you the same level of audio quality regardless of the source you choose. There are endless ways in which you can enhance your driving experience thanks to modern items that have been created based on the latest technology. In addition, some of those reading this article might be addicted to their smartphones and drain them of the last drop of battery these have every day, which means that they will need a car charger as well. The latest charging items for cars come equipped with two USB inputs so these can charge both your phone and the one of a passenger. Moreover, such items turn into classic plug-in chargers whenever you need this.